For the first time at a Six Flags park, you can choose to ride forward or backwards. Usually during this type of promotion you can only ride backwards. How this works is that they have one train facing forward and the other backwards. When you queue for whatever direction you want to ride, you will come to a merge point. At the merge, if you are riding backwards you will receive a lanyard. They then will alternate letting people past the merge point up to the station. Those with the lanyards will be assigned a row, those without get their pick of a seat - they usually send them all to the front row which is not used because there are only 7 rows on backwards Batman while there are 8 on forwards. 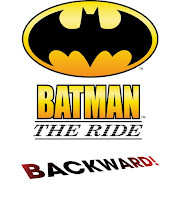 This is the third time I have been able to ride Batman Backwards, with the other 2 times being at Atlanta and Chicago. With that being said, this is the first time I've ridden the "mirrored version" backwards. 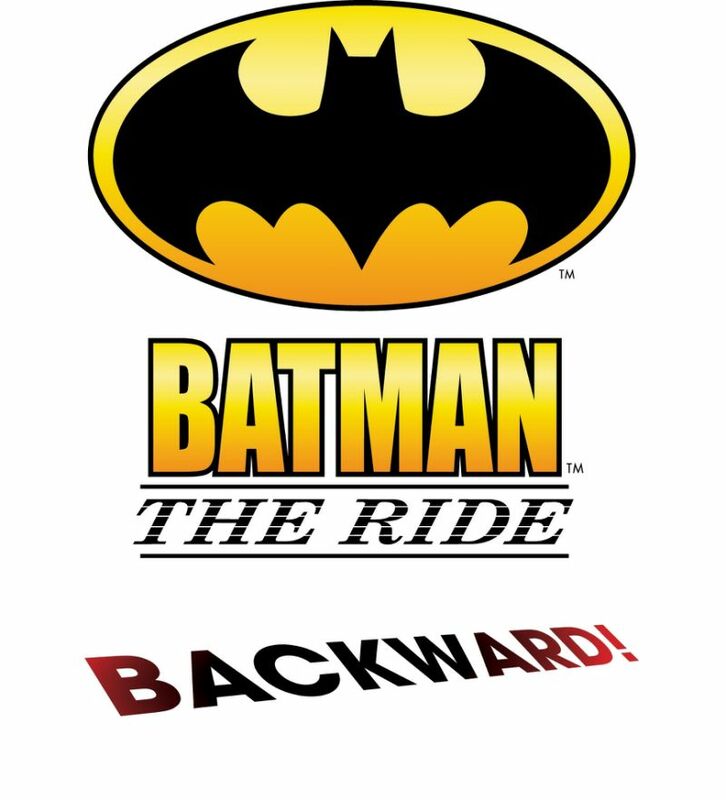 I honestly find riding Batman Backwards to be just a little more intense then facing forward. I rode in three different locations on the train today, and row 8 was the most forceful for me. However, it is definitely worth not having anyone in front of you. It is basically the "front row" for the backwards version. If you didn't know better, you couldn't even tell this train is facing backwards. Here is my favorite row for the backwards version of Batman. So on my final ride of the day, I got the rare treat of being evacuated from the brake run. These photos were taken after we were stopped and after receiving permission from the attendant. This is a shot you don't see very often. They had to come and release each row individually. They had a wooden stair to put under your row to help you step down. After walking back to the station, we each received exit passes, which was a great gesture by the park. So, am I part of the exclusive club that has been evacuated from Batman Backwards? I cannot imagine that there are too many people that can claim that.